In a state that’s the birthplace of the burger, it’s no surprise Connecticut has some seriously excellent fries to go along with it! 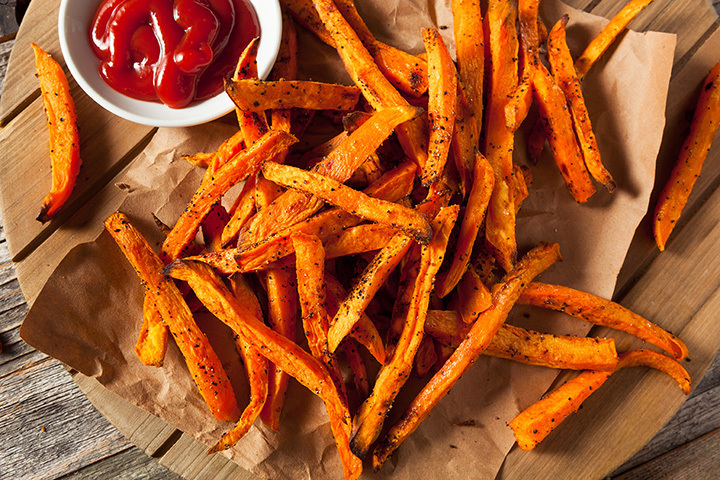 From crispy, seasoned fries to the delicious sweet potato variety, you’ll find all of your favorites in the Nutmeg State. These 10 eateries serve up the best of the best. Taste test the creative and flavorful menu at the House of Naan and be sure not to skip their tikka fries, which are fries topped with tikka masala sauce, chicken tikka, mozzarella cheese, and cilantro. Talk about a perfect marriage of two delicious foods. This classic pub serves tasty food options, but what really stands out on their menu are their sweet potato fries that are served with the most perfect dipping sauce. Opt for an order with your sandwich, but you may find yourself not wanting to share, as they really are delicious. Hapa Food Truck is a much-loved spot for unique, casual, and award winning meals. Their flavorful furikake fries are skinny shoestrings topped with aioli and furikake, which is a type of Japanese seasoning. Though it might be unexpected, Hapa Food Truck does fusion right. With its four great locations, Little Pub serves hungry diners delicious and unique meals. To go with their extensive beer menu, however, how about trying a serving of their fries? The “3 A.M. At The Diner Fries” are topped with melting cheddar jack cheese, bacon, and gravy. And, several of their menu items come with crispy French fries or sweet potato fries. Dig into a mouthwatering, juicy burger at Plan B, but be sure to save room for fries here! This tasty spot offers tons of fry options including parmesan fries, sweet potato fries, fancy fries, green fries, steak fries, and more. With both thin and thick cut fries, every fried potato lover is sure to be pleased. Five Guys is a chain restaurant that gets a lot of hype, but they live up to it with their made to order burgers and really great fries. Fries here are cooked in 100 percent peanut oil and both Cajun style and Five Guys style are available. The Cajun fries are excellent a certainly pack a flavorful punch of heat! Head on over to this American-Canadian diner serving up breakfast and lunch only. For a taste of something special from our friendly northern neighbors, order a large plate of poutine, which is French fries smothered in gravy, cheese, and toppings. They serve a whopping 12 poutine options, so this is the place to get your fry fix. Order of Fries is a fast food spot serving only hand cut fries and chili. As you’d expect, the fry menu here is extensive and features chili cheese fries, pulled pork fries, and poutine. They also serve regular fries with a variety of sauces and toppings available to create your own tasty snack. For delicious all-American comfort food, Chilibomb crafts hand-formed burgers, mac and cheese, and hand-cut fries. Their delicious Top Secret Fries are crispy on the outside and chewy on the inside and can be topped with chili, cheese, or both! It is hard to overlook a restaurant with such an eye-catching name and logo but Super Duper Weenie offers diners an excellent selection of hot dogs as well as delicious fresh cut fries. Cooked in soy oil, the fries are perfectly done and are ready for dipping.